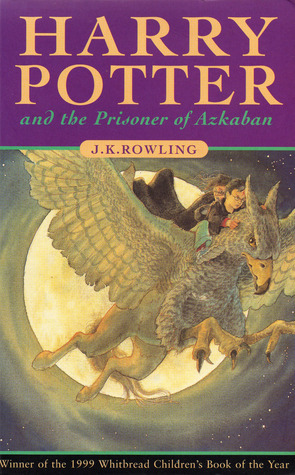 The Prisoner of Azkaban brings on a darker tone to Harry’s story that we see develop and grow over the rest of the series. The Dementors, in particular, lend a particularly terrifying aspect to this book and I think I might think twice before reading this one to the very small. That said, Rowling is really coming into her own as a storyteller here and this is one of the most complex but enjoyable stories so far. There are elements that were changed a fair bit in the film adaptation, not always for the better. Here are my thoughts from this re-read. Moony, Wormtail, Padfoot and Prongs – the creators of the Marauder’s Map. In the interest of avoiding spoilers I won’t reveal their identities but I just love this little glimpse into the lives of previous mischief-makers at Hogwarts. The Firebolt – Harry and Ron’s love for Quidditch really comes to the fore here as Harry takes his place as the star of the Gryffindor team. The Firebolt mysteriously appears at Christmas, and I love how everyone is in awe of it. 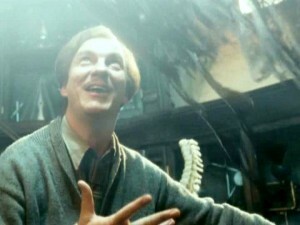 Professor Lupin <3 My favourite Defence Against the Dark Arts teacher! I’m so glad that Dumbledore decided he wasn’t a risk to the students and that the other teachers supported him. He’s such a lovely character, but as I was reading I just couldn’t help seeing him in my head as in the film, played by David Thewlis. Dementors – so scary! I remember being chilled by them in my original read and then really terrified when I saw them in the film! Of course, they are a necessary part of the story, I just find them scary. The scene in the Shrieking Shack – It’s been a while since I saw the film, but I didn’t remember this scene being as drawn out as it is in the book. They just all stand around and chat for a while, telling Harry the story of his parents and Pettigrew as though they weren’t about to execute their former friend. It just dropped the tension for me. Incidentally, I thought the section with Harry and Hermione using the time-turner had a lot more continuity in the film as well, even though all the same elements were there. Well done, screenplay writers! The more I re-read in this series the more I remember why I loved it so much the first time around! This was my favorite of the series as soon as it came out, and none of the later books topped it. They were all good — but this one is my favorite. I love how tight the plotting is and how it really opens up the wizarding world to us.